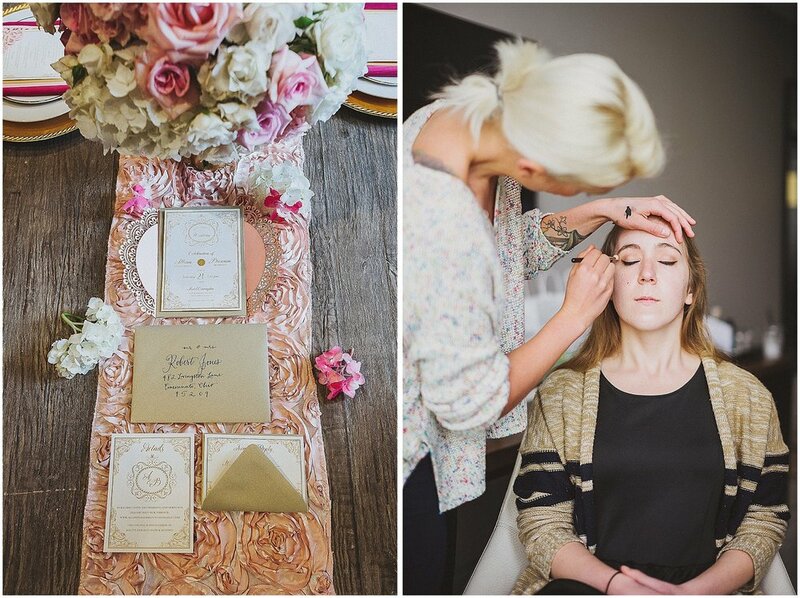 There is so much to love about this luxe inspirational shoot. We're dreaming of that cake and all the pink goodness. Scroll to the end to see the incredible team of vendors! 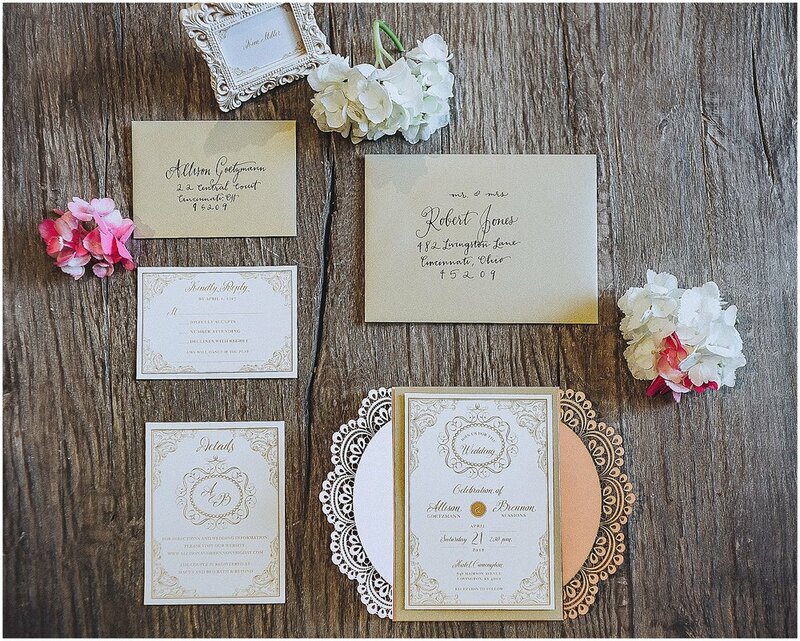 Inspiration from the designer + planner: As a wedding planner and designer, I often find unique ways to incorporate vintage elements into glamorous decor. 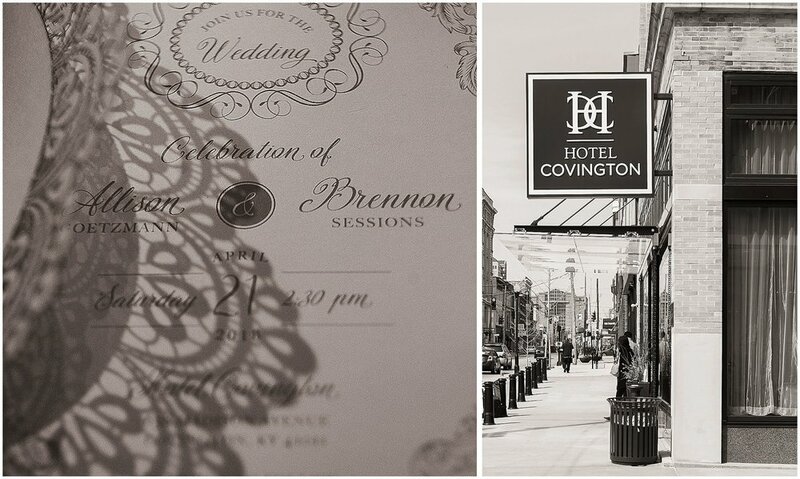 It is only fitting that when we conceptualized this "Vintage Meets Modern Glam" shoot that we selected the beautiful modern yet vintage backdrop of Hotel Covington, a boutique hotel in Covington, Kentucky, that was the state’s first modern skyscraper and high-end department store. Fun fact: The hotel was born by John Coppin when he bet on a long shot in a horse race...how Kentucky is that?! Furthermore, the reclaimed bourbon barrel wall and locally sourced products throughout the hotel embody the true essence of Kentucky. Although this shoot has glamorous and luxurious elements, we still wanted it to be practical and inviting for real brides and couples. Our models, Brennon and Allison, were the perfect display of genuine love and adoration having recently gotten engaged on a European vacation. For the decor, we started with blush, ivory, and gold and then added in vibrant raspberry accents to brighten everything up making it fresh and unique. The florals were inspired by a summer garden - fragrant and colorful from the mix of hydrangea, roses, and eucalyptus. The vintage furniture and accessories, posh lamour majestic linens, and glam modern crystal candelabras brought to life the theme through the decor.